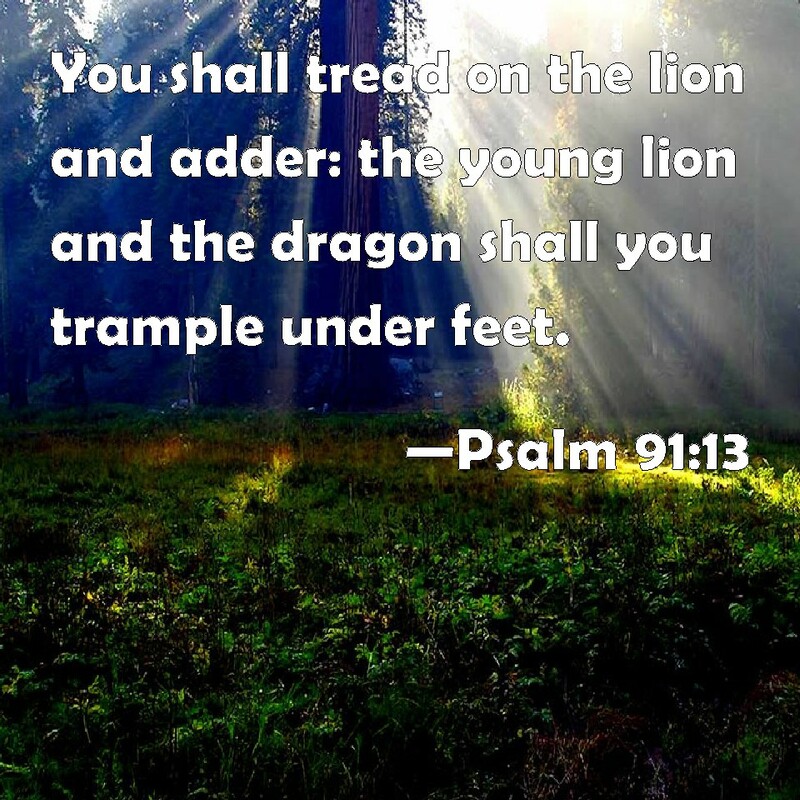 “You will tread on the lion and the cobra; you will trample the great lion and the serpent.” These are all names of our adversary…the devil…satan. Lion? He walks about like a roaring lion, seeking whom he may devour. Who’s the whom? That’s us believers…the ones who have accepted Jesus as their Lord and Savior. But, he also goes after those who are on the edge. He doesn’t want them to go to God. Cobra? That’s a snake. In the Garden of Eden, he came to Eve as a snake…a serpent. As you remember, he got her to go against the Word of God. That’s what he wants to do to us…to go against God’s Word. So, let’s put this all together, and it pretty much comes down to that we are going against satan and his legion. How is this possible? He uses people, but we are part of God’s army! We have armor! (see Ephesians 6:11-18) God has given us this power to use! My prayer for you is that this will not scare you away from Jesus. Jesus is calling you today. You come to Him, you have the ability to fight off the enemy. Use His Word He’s give you…the Bible. This is a continuation of what we had previously been talking about. They is the angels. They will lift you up. Up from where? From hurting yourself. None of us really knows how many times the angels have saved us…have kept us from being killed. They are on assignment in protecting us. But, we do need to ask God to send them. But also, God just intervenes and sends them because He has something in store for us to do for Him. We just need to be obedient. Yes, there’s that dirty word. Obedience. God does ask for our obedience to Him. We just need to get into His Word to find what to be obedient to. When we do that, we go back to verse 1…Abiding. Shelter. “For He shall give His angels charge over you, to keep you in all your wa Oh my, what a promise. We have all grown up hearing we have a guardian angel. But this says ANGELS! There is nothing like knowing that God’s angels have charge over me. They are guarding me in whatever I do and whatever I get in. I believe when we reach “Home”, that we will be amazed at how much His angels saved us from death. They protect us from so many things! They also keep me in all my ways. Well, I’m trusting that my ways are His ways. That is the best way of knowing that I will be kept in my ways, for if I am out of His will, why would they? I need to be on my toes…be obedient. Then I can expect the protection I need. How about you? Are you being obedient? Are you following His Word? Are you in His Word? Are you praying to Him? Please, come to Him now…I beg you! He’s at your heart’s door knocking. Will you let Him in? Today will be doing verses 9 & 10 together because it goes together. We will be following one thought…refuge with NO harm. Wow! Have you ever thought of that? First we have to realize and say that the Lord is your refuge. What exactly does that mean? According to the dictionary refuge means: a shelter or protection from danger or trouble. That’s a sweet picture I see of being in a cave during a storm. Also, think of soldiers in a foxhole during combat. Shelter. You also need to make Him your dwelling. Dwelling is where you live. Let Him live in you. How does that happen? Accepting Jesus as your Lord and Savior. Believe and accept that He died for you and would have done it if you were the only one here. He loves you that much! Then it says when you do this, no harm will overtake you…no disaster will come near your tent. When we think disaster, we think what has just happened to Oklahoma. That is disaster in a big way. But your tent? Most people would think that is where you live. Go with me here a minute. When my mother passed away, my Dad told me that she wasn’t there anymore…she was living in a tent. So, here we go. You are a spirit. That’s the real you…on the inside. You have a soul. That’s your intellect…your thinking. And you live in a body. That’s what this is saying here. No disaster will come near your tent. But, you have to be abiding in Him. Believe Him in EVERY area of your life. Sickness? He can handle that. Rejection? He can handle that, too. He was rejected. He knows how you feel. He will NEVER reject you. So now the ball is in your corner. What will you do? Will you reject Him and His protection and comfort? Will you accept Him and all He’s done for you and given you. The answer is up to you. Accept Him today. 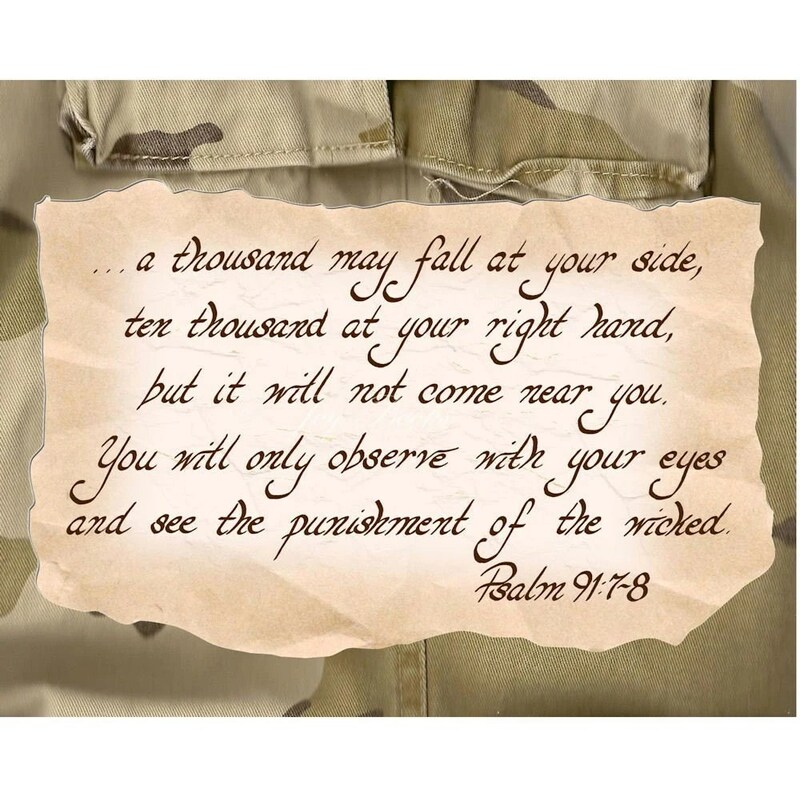 You will only observe with your eyes and see the punishment of the wicked. This is BIG! This doesn’t mean that if you are in the service that you won’t have to lift a finger to protect…to do your part. But, you will be spared. You will see the enemy go to flight. But, this also has another meaning with it. You belong to Jesus. You are following Him with all your heart and being. 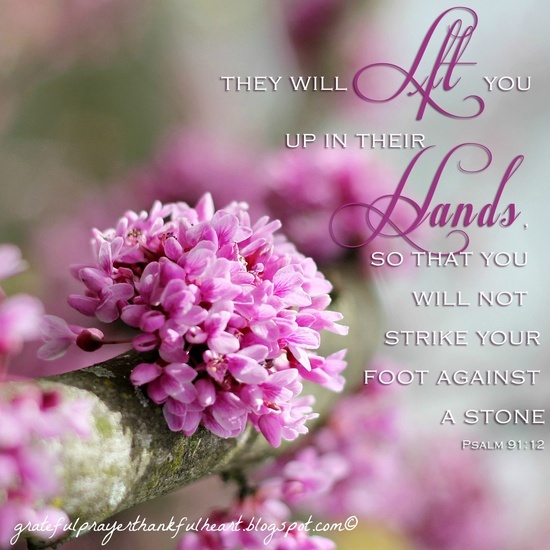 The enemy, our adversary the devil, will be using people to come against you…those who are not following Jesus. They will be judged. The Lord will have vengeance on them for us, His children. So, where are we going with this? 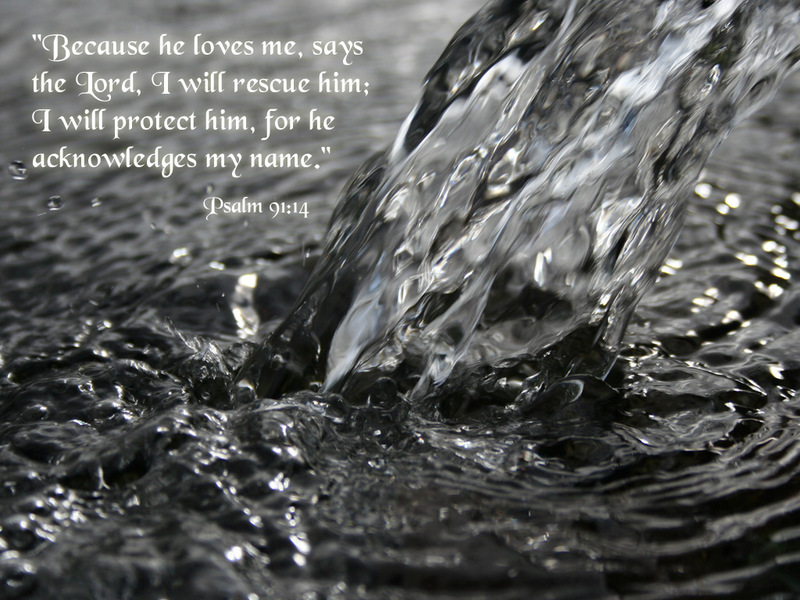 We get ourselves under His protection, and He will protect us from the adversary. Miracles will happen. They happen everyday and we just don’t see them (another lesson).